Exactly 120 seconds of action is what it took to seize control of Derby Day at Twickenham on Saturday. 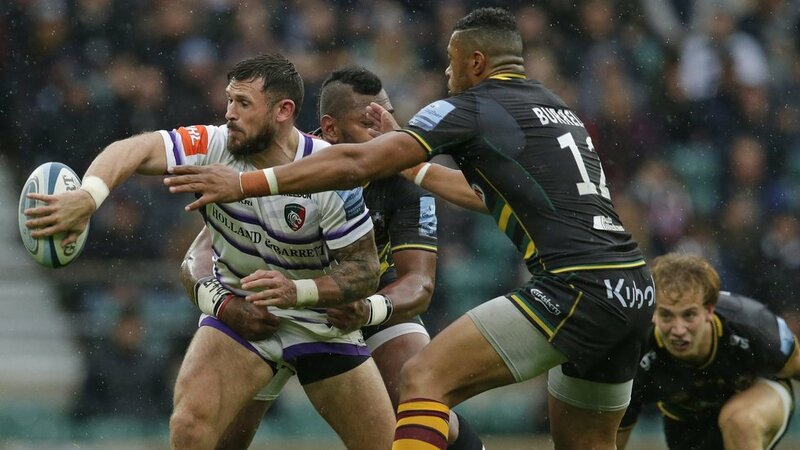 That was the time elapsed between the two first-half tries from Ben Youngs and Jordan Olowofela which set Tigers on the way to victory on an emotional afternoon against the backdrop of support for former Saints star Rob Horne. And in the conditions on the day, the game changed in a metaphorical blinking of a eye. In those conditions, that momentum is difficult to alter, and so it proved. What The Tig loved about the tries is that they both looked like simple run-in scores, but within that there is a range of skills expertly executed alongside a clinical finishing power. The Youngs score started with George Ford’s crosskick, won superbly in the air by Adam Thompstone whose individual skill in flicking the ball instantly to Jonah Holmes warranted a score of its own. Holmes had anticipated – and gambled – on receiving the ball on the outside and broke down the wing. 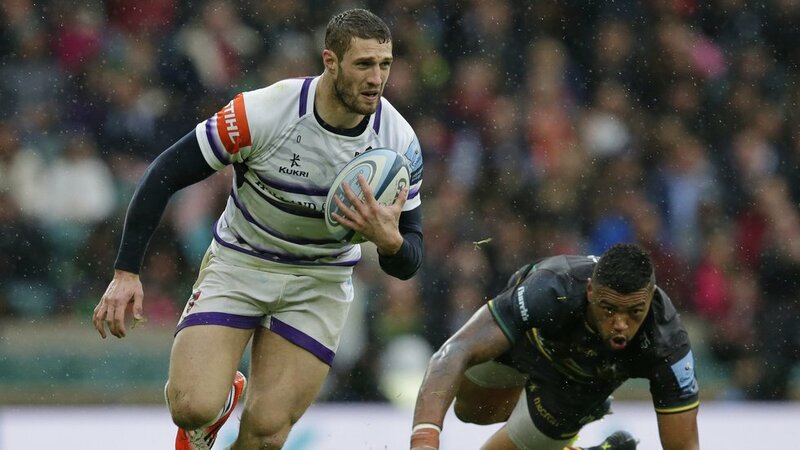 He retained enough awareness and composure to straighten his run, bring in the final defender and then find Youngs in support who ran in to dive under the posts and celebrate with the Tigers replacements. 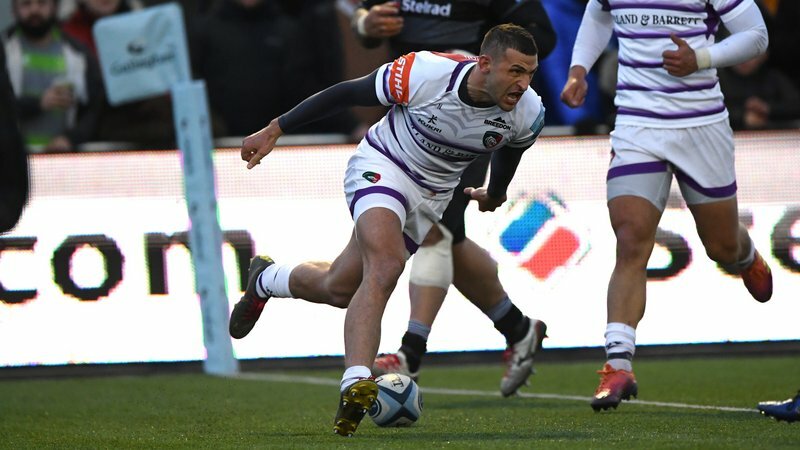 Full-back Holmes, playing there for the first time for the Tigers but with previous experience in the 15 shirt, was also instrumental in the second try. This time, he tidied up scrappy ball after a midfield charge-down and quickly turned defence into attack, taking half a dozen Saints out of the game, switching the ball from left hand to right to facilitate a strong hand-off on the only one who got within tackling range. His pass put in Olowofela to run in for the score. Young Olowofela was chased down by Harry Mallinder but used the conditions to slide in on the wet grass for a decisive score. Simple, but effective, two scores to the good and in command. 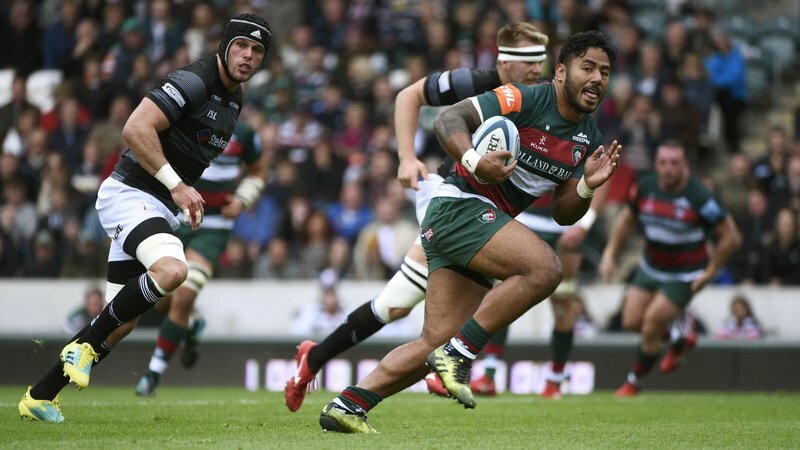 The game was not over by a long chalk, but Tigers needed that breathing space as it progressed, though there were also some big markers in defence where The Tig particularly noted the contribution of Manu Tuilagi and Kyle Eastmond, using a combination of strength, timing and commitment to make the most of that first-half Launchpad on the way to a valuable derby victory. If rugby is all about doing the basics well, there was the proof all over the Twickenham turf last Saturday.